Raj Patel is an award-winning writer, activist, and academic. He is Research Professor in the Lyndon B. Johnson School of Public Affairs at the University of Texas, Austin and Senior Research Associate at the Unit for the Humanities at Rhodes University. He is the author of Stuffed and Starved: The Hidden Battle for the World Food System and The Value of Nothing: How to Reshape Market Society and Redefine Democracy. Jason W. Moore teaches world history and world-ecology at Binghamton University and is coordinator of the World-Ecology Research Network. 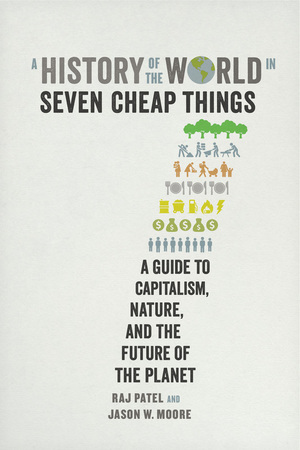 He is the author of several books, including Capitalism in the Web of Life: Ecology and the Accumulation of Capital, and numerous award-winning essays in environmental history, political economy, and social theory.